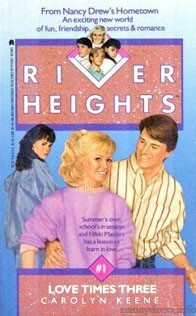 volume series of romantic adventures taking place in and around her home town of River Heights. Will Love wait for Nikki? Nikki Masters has it all: beauty, brains, talent- and popularity. But what happened last summer changed her life forever. Sure, her neighbor Nancy Drew cleared her name in that awful murder case, but people are still talking. Will Nikki still be accepted by the kids who used to be her friends? And can she forget her old boyfriend and fall in love again? Nikki doesn't know the answers- but maybe Tim Cooper, the new guy in class, does. Smart, athletic, as gorgeous as they come, Tim has his eye on Nikki, and he's making all the right moves. Even Brittany Tate, Leader of the "in" crowd, has given Nikki her seal of approval. But with friends like Brittany, Nikki doesn't need enemies. Brittany has a head full of schemes and a figure to back them up. She has plans for Tim, and Nikki Masters is standing in the way. 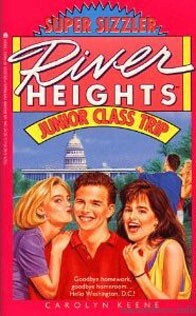 Which all adds up to war at River Heights High: Love is the battlefield, and Tim Cooper is the prize. Nikki thinks her life is going great when she gets a brand-new car, but suddenly Tim begins acting cool toward her. Can she juggle the pressure of trying to save her relationship and supervising the floats for the big parade? Brittany Tate cannot believe she is dating college man Jack Reilly. Things are going well until she is confronted with a problem. Now, their relationship may be in jeopardy--unless Brittany can persuade one of her best friends to go out with a guy she cannot stand. Brittany Tate's romance with college student Jack Reilly is getting too hot to handle. Meanwhile, she convinces her friend Kim to go on a date with snobby Jeremy Pratt, but it turns out to be a total disaster. And Lacy Dupree comes up with a scheme that will get her the raise she needs to buy a car--if a hot rock and roll band can save the day. Nikki Masters and her boyfriend, Tim Cooper, are preparing for their upcoming high school play, "Our Town", in which they play opposite each other as Emily Webb and George Gibbs, the two leading roles. While Tim is very excited about opening night, Nikki can barely hide her stage fright. Brittany Tate, a reporter for the "Record" (their high school newspaper), picks up on their different reactions to the play and exaggerates on Tim's friendship with a fellow drama student, Lara Bennett, in the hopes that Tim and Nikki will break up and he'll then fall for Britanny. When she's not destroying other people's relationships, Brittany is secretly working as a waitress in a disgusting restaurant so she can earn enough money to pay her dues at the country club. Surprisingly, another classmate is also working at the same place: Jeremy Pratt, a rich snob who's gone into debt because of his new high-maintenance girlfriend Kim Bishop, Brittany's close friend. 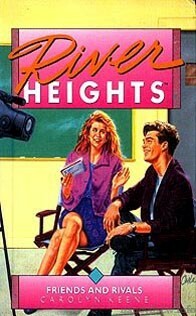 Karen Jacobs of the school paper has stumbled onto a cheating ring at River Heights High. If she breaks the story, she's sure to be editor-in-chief next year. But if she agrees to cover it up, she just might win the heart of junior class president Ben Newhouse - the guy she's secretly crazy about. Nikki Masters, meanwhile, is still trying to get over Ti Cooper. The she gets to know Niles Butler, the gorgeous new guy from Britain. He's cool, he's classy, and he's noticed Nikki. She wants to be honest, with Tim and Niles, but is she being honest with herself? Karen, Lacey, and Nikki are all learning that the trouble with falling in love is that hearts can be broken--and sometimes the heart is your own. While Brittany Tate scours the River Heights Country Club in search of the perfect boyfriend, junior class treasurer Ellen Ming turns to Nancy Drew for help in clearing her father's name from a charge of embezzlement. Where the music stops, nobody knows... Robin Fisher's after school job at Platters is finally coming to an end, but her troubles are just beginning. Although she finds fellow employee Michael Quinn's crush on her kind of amusing, her boyfriend, Calvin Roth, fails to see the humor. He's angry, Michael's adamant, and Robin can't seem to make either of them understand. Emotional musical chairs are nothing new to Nikki Masters and Karen Jacobs. Nikki's learned that Nile's British girlfriend is headed Stateside, while Karen must contend with Ben's ex, model Emily Van Patten, who's moving back to River Heights. Just about everyone's wondering who'll be left out when the music ends. Sometimes the coolest guys are just too hot to handle... Rick's finally coming back to school, but he's not coming back to Lacey. He may have fallen for another girl, and now Lacey's drawn to another guy--and her friends can't believe it. He's a motorcycle-riding rock-and-roll rebel, and he's just not her type. Worst of all, he's Rick's older brother! Nikki and Tim, meanwhile, are back together and better than ever. They've entered the upcoming talent contest, and they're aiming for the top. But no one can match Brittany's talent for scheming. She aims to see them fall flat--onstage and off. Does a father always know what's best? Senior DeeDee Smith, editor of River Heights Record, is on a collision course with her father. He wants her to attend prestigious Kingston University, but she has another idea--journalism school. Even worse, Mr. Smith is not at all pleased about DeeDee's new boyfriend. Meanwhile, Lacey still hasn't told her old boyfriend, Rick, that she's seeing his brother, Tom. She's tired of sneaking around but fears Rick might get fighting mad if he finds out. The day of reckoning is at hand--for both Lacey and DeeDee. 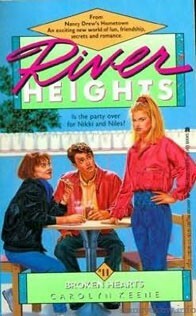 Just for the Record, these stories are bound to make headlines at River Heights High! Kyle Kirkwood is supposed to mix and match couples for the River Heights High junior class luau. But Kyle's girlfriend, Samantha, determines to select Kyle's partner herself. Meanwhile, Emily vows to stop her father from dating a high school teacher. 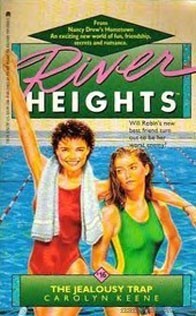 When River Heights High's new TV show begins interviewing for a hostess, Samantha Daley competes with best friend, Brittany, for the coveted post. Lacey becomes concerned when Katie steals Lacey's boyfriend and then begins hanging out with Lacey's best friend, and Brittany tries to save shy, overweight Phyllis Bouchard from becoming the victim of a cruel joke. Nikki, Brittany, and the gang head for the nation's capitol-and a whole new world of possibilities! Special thanks to Jenn Fisher for her assistance in getting information on the series.